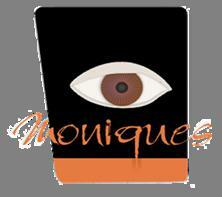 Founded in 2003, Monniques Consulting is a global management consulting company and the advisor on business strategy. We partner with clients in all sectors and regions to identify their highest-value opportunities, address their most critical challenges, and transform their businesses. We are specializing in turnaround and interim management, performance improvement and business advisory services. Monniques delivers specialist operational, consulting and industry expertise to management and investors seeking to overcome challenges accelerate performance and maximize value across the corporate and investment life cycles. We work with the world’s leading businesses, governments, and organizations to create and deliver essential advantage by building capabilities and successfully navigating through critical junctures in their business. We help clients lead transformational change, create new organizational models, capture value from their customer and channel strategies, increase the effectiveness of their supply chains and assets, and integrate security into their strategy to ensure the resilience of their business. We know that our clients' success depends on differentiating their capabilities—and we have the experience and depth in these areas to ensure that our clients gain the advantage they need.